Tamara Kaye-Honey has created some truly imaginative spaces that are both charmingly bold and invitingly livable, two hallmarks of her New Vintage style. She skillfully layers color, pattern and texture in ways that feel fresh and unexpected. Art, architecture and design influences from past and present deftly mix to tell a story. It is immediately apparent that fashion figures heavily in Honey's interiors too, having been integral to her early education. In 1996, Tamara left her native Canada for New York to attend the Fashion Institute of Technology. 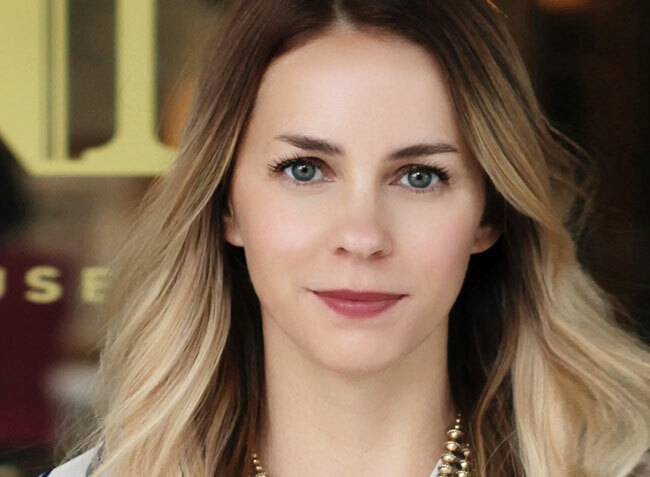 With a degree in Fashion and Merchandising in hand, she then joined Bergdorf Goodman as a clothing buyer. 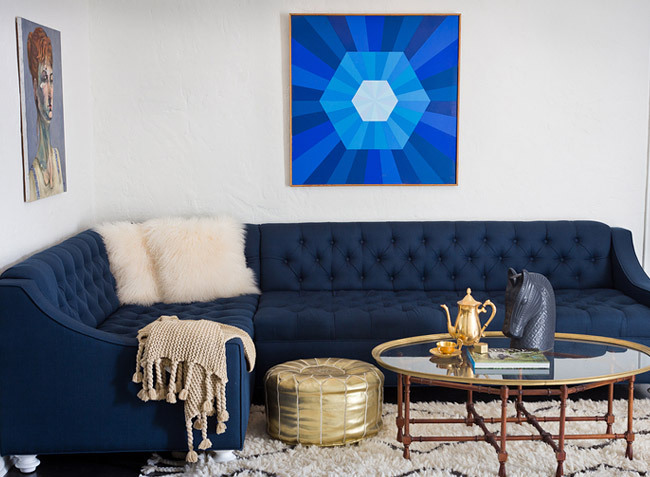 In 2003, Tamara relocated to Los Angeles and launched her multi-disciplinary interior design studio, House of Honey. Over the past decade, Tamara's company has built an impressive portfolio of work that includes commercial venues, celebrity homes and other residential properties located throughout Southern California. They have achieved this by offering clients full-service project management from initial concept to design development to final installation. In December 2013, Tamara unveiled her most recent project: the sophisticated and warmly intimate interiors for Crossings Restaurant in South Pasadena, CA. And, her work has been noticed: Tamara's interiors have graced the pages of C Magazine, California Home + Design, The Los Angeles Times, Traditional Home and Domaine as well as Lucky, Domino, Angeleno, Rue and Chatelaine. 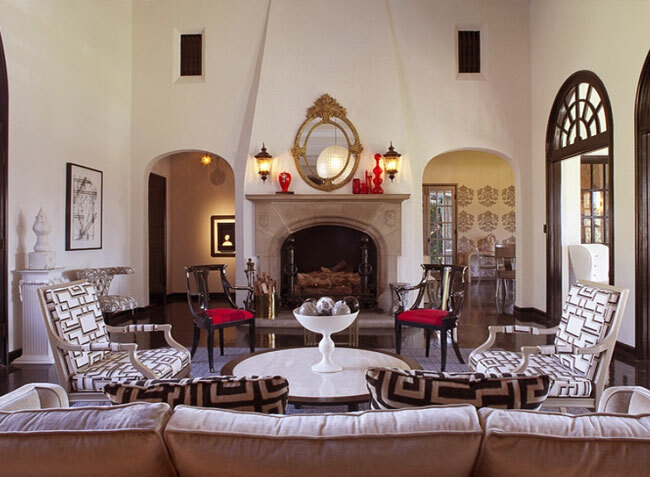 In 2011, Tamara was named one of Los Angeles’s Hottest Decorators by Angeleno and a Traditional Home Top 10 New Interior Designer the following year. This year, she is thrilled to be honored as a Pacific Design Center STAR OF DESIGN. Building on the success of her design business, Tamara expanded House of Honey to include a retail showroom that -- much like her celebrated interiors -- features contemporary finds artfully juxtaposed with vintage pieces in urbane vignettes, with covetable items like hats and handbags, tableware, light fixtures, paints and grooming products rounding out the retail mix. No wonder House of Honey was named one of LA's top stores in 2013 by Los Angeles Magazine. The past year also saw the relaunch of her retail website, HouseofHoney.com, that gave Tamara a nationwide platform for residential and commercial design through the advent of her e-design services. Aficionados around the world can also find her vintage and custom furniture and lighting line through 1stdibs and Dering Hall. Currently, Tamara resides in Los Angeles with her husband, Ryan Honey, their two children, their English bulldog, Suki, and Pickles, their Shih Tzu puppy.